With Christmas reads now in full swing i thought i would share some of the ones i cannot wait to curl up with as the evenings get cooler. Ive picked 4 that are currently all sat on my TBR in time for winter rolling round. So time to share those winter reads that are gonna be the perfect company on a cooler night. As i am just drawing to a finish with The Gin Shack on the Beach and i am in love with the characters, the atmosphere and all the bespoke Gin i don't want too leave as it is so knowing i can return is just perfect. For one thing, she’s got nothing in common with the man, Ben’s a high flying lecturer at the town’s university while she barely scraped through high school, for another he’s fresh out of a relationship while Eva hasn’t been on one single date since the death of her husband, seven years ago! I have not read any Maggie Conway but i am super excited for this, I mean i am all over a guesthouse read and a naughty dog this sounds like it will be a sweet laugh out loud read perfect for winter. Having previously loved my last visit to Appledore - a christmas stop off couldn't be more up my street if i tried, I am also excited to get to know more of the characters and feel like i have had long enough away to no longer have favourites. We all know Sarah Morgan is my all time favourite author, so this was just a given, i mean i am sure no one is shocked that i cannot wait to stop by Manhattan again this time to catch up with Harriet, someone i have been intrigued by for quite some time. 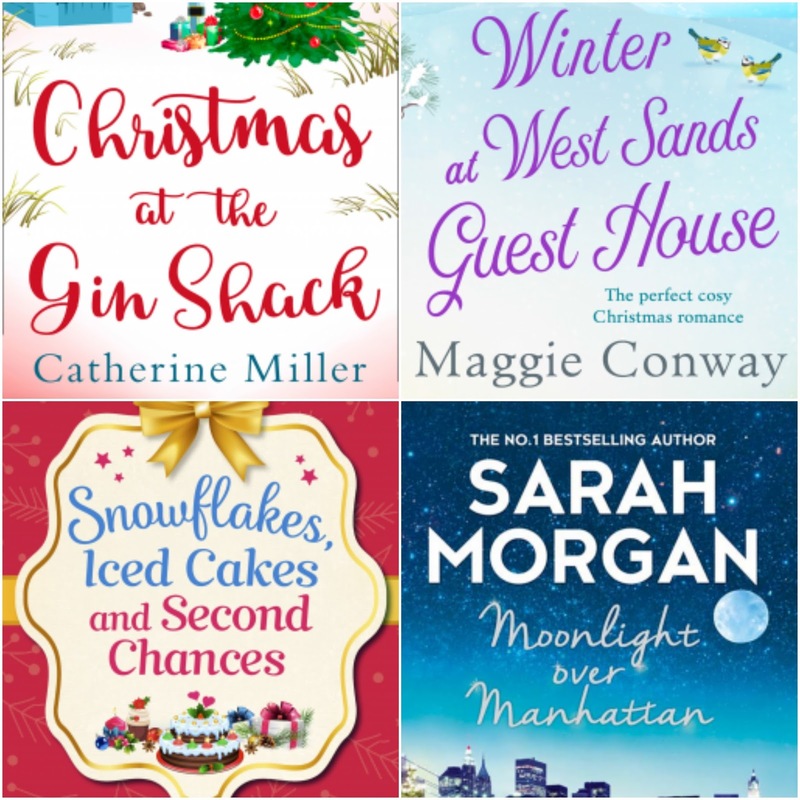 So what christmas reads are you looking forward too?